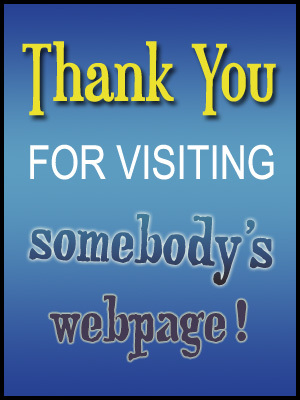 Hello out there and a big thank you to anybody who is still reading this blog. As usual, it has been a really long time since my last post, and I would apologize for that but, really, who cares at this point? You could say I’ve been recovering from a year-long case of the blahs, brought on by a combination of television apathy and writer’s block. Of course, I realize that I disclosed way too much about my personal life in the last post, which probably played a role in my ex-sometimes-girlfriend Sierra’s decision to relegate me to the romantic clearance bin. That’s right, we’re pretty much history now. After I tracked her down at a ritzy party last year, she made it clear that I was one step away from a restraining order. She loves me but she’s not “in love” with me. It’s not me, it’s her. You know the routine. She needs space, so I’m going to give her several galaxies of it. I never could figure out what she was up to and why she was so secretive all the time, and I don’t really care anymore whether she’s a CIA agent or just a crazy woman with honesty issues. I still love her but it’s probably best for my own sanity that we’re not together. C’est la vie. The upside to all of that drama is that I once again have unlimited me-time when I’m not working at the convenience store or doing chores for Mom around the house. In the last year I’ve been watching a lot of old shows on DVD (mostly Ghost Hunters and The Mentalist) and reading a few books, but I haven’t felt like blogging again until recently, not just because of Sierra, but also due to the fact that there hasn’t been much new to watch that’s worth a damn, as far as broadcast TV goes. In my opinion, we’ve been in sort of a TV nether-zone for a while now, consisting mostly of crime dramas, superhero shows, and a few stubborn old reality TV shows that will probably be around forever like the cockroaches. Oh yes, and we mustn’t forget those charming flesh-eating zombie shows and the zombies that watch them (apparently half of the US population). I was finally rescued from my state of TV apathy by a caped red and blue female known as Supergirl, who flew into my basement dwelling in the fall of last year and lifted my spirits with a light-hearted superhero drama that doesn’t take itself too seriously. Lead actress Melissa Benoist is super-adorable as Kara Zor-El (aka Kara Danvers), cousin of Superman, who battles an assortment of cheesy super-villains and mean aliens, and still finds time to fetch coffee and bagels for her bitchy boss Cat Grant (played with impressive cold-heartedness by Calista Flockhart of Ally McBeal fame). Rounding out the cast is Winslow “Winn” Schott, her nerdy co-worker seeking an upgrade from friend status (Why does that seem familiar? ), a tall, dark version of Jimmy Olsen, a secret agent sister, and Hank, the shape-shifting Martian. It all adds up to moderate levels of viewing enjoyment. Of course, superhero reboots have been the big trend in television and movies for the last several years, maybe the only trend. Why? Who Knows. People in general, I suppose, are feeling helpless with all the talk about terror and climate concerns and mystery diseases and a jittery economy, and would love to have some super-powered people in tights around who can make everything right. I’m no exception to this sentiment and so I don’t mind being rescued by Supergirl every week. Maybe not the greatest show of all time, but an improvement over most of the other superhero dramas that have infested TV screens in recent years. Score one more for CBS. They are slow, but they do occasionally get it right. Another recent win for CBS was their choice of Stephen Colbert to take over The Late Show after the departure of iconic funnyman David Letterman. When I was promoted to assistant manager at Majik Market a couple of years ago I started working regular day shifts instead of the overnight shift, and as a result I am now able to watch shows at night like a normal person instead of trying to remember to tape them on my VCR and watching them in the afternoon. I was a fan of Jay Leno, but rarely got to watch The Tonight Show on NBC before Leno was unceremoniously booted in favor of Jimmy Fallon. Jimmy is a talented enough guy, and I respect the fact that he has achieved so much in his career since leaving Saturday Night Live all those years ago, but his version of The Tonight Show just doesn’t do much for me. Stephen Colbert’s edgy, politically tinged humor on The Late Show is like a breath of fresh air, and a bold move for an old broadcast network like CBS. As with other late shows, I usually just watch the funny stuff in the first half and skip the celebrity interviews. To Colbert’s credit, his guests seem to include more people who aren’t movie stars — politicians, writers, musicians, and so forth. The show has been doing OK in the ratings, hovering around second place behind Fallon. I’m sincerely hoping the network keeps Colbert around for a while. As far as I can remember, the last late night talk show with this much brainpower was The Dennis Miller Show back in the early 90s, which lasted all of seven months. SNL just ended it’s 35th season with strong ratings, and still seems as young and fresh as a show half its age. It continues to attract high-dollar advertisers in a time slot that only brings cheap commercials to other networks. The ongoing popularity of SNL is due in no small part to the fact that Saturday night is a television wasteland. There is really nothing much on, because the networks assume that all the viewers, movers and shakers that we are, will be out painting the town and being glamourous, maintaining our lofty positions on the social totem pole, attending elegant parties in million dollar mansions perched on mountain tops as the moon shines down into our champagne glasses and we gaze uncaringly from our balconies into the city lights below. The TV networks don’t suspect the truth of how we really spend our weekends, which typically consist of eating some leftover tuna casserole for dinner while sitting in an old La-Z-Boy that you’re still making payments on, trying to convince your teenage daughter not to have another baby, realizing you’ll have to wait two more paychecks to have your car’s brakes fixed, and reflecting that your only chance for escaping your job as a tire store manager seems to be the brochure you received in the mail about learning therapeutic massage at your local career college. And even though it’s Saturday night, you don’t have to worry about taking your wife out on a date because she’s gone off for the weekend with her belly dance instructor, some guy named Stephan who knows a lot about eastern religions. So you wash down a couple of pain killers with a Pabst Blue Ribbon, and settle in for a night of escape in front of the tube. After a few minutes of channel surfing you start to realize that the networks have a very low opinion of people who watch TV on a Saturday night. You have your choice between some Cops reruns, a cooking show, a stray crime procedural or two, and a couple of old movies from 1994. In desperation you proceed to PBS. They’ve helped you out in the past. They’ll stimulate your brain with something informative. What’s this? Lawrence Welk? Say it’s not true. Yes, they’re taunting you. You can almost hear your wife laughing with comtempt. You take another swig of Pabst and glance doubtfully over at the stack of books that you never finished reading. “Anything but that,” you moan despairingly. You’ve still got one last line of defence: you can hook up the old Super Nintendo. Then you look at the clock and, like an answer to a prayer, it occurs to you that it’s almost 11:30/10:30c, and Saturday Night Live will be on soon, your comedy oasis in the middle of a dreary weekend. Herein lies the appeal of SNL. The quality of SNL may ebb and flow like the tides, but the show will always thrive because it provides a much need service to America. It rescues us in our moment of doubt and makes us feel hip and relevant again. This is why we will always return to the show, year after year, and suffer through annoying skits like Mr. Peepers, the ambiguously gay duo, and Grady Wilson’s marital aid videos. Lorne Michaels, to his credit, has always managed to keep the show entertaining on some level in spite of the revolving door of cast changes. This is no small task in an age of watered down, corporate-friendly television programming. In closing, I would like to emphasize that I do not consider myself an SNL fan. I have spent the last dedade or so trying not to watch it, but like the castaways on Gilligan’s Island, I always end up back where I started, listening to those words, “Live from New York, It’s Saturday Night!” Attempting to escape the show’s gravitational pull has proven to be futile.